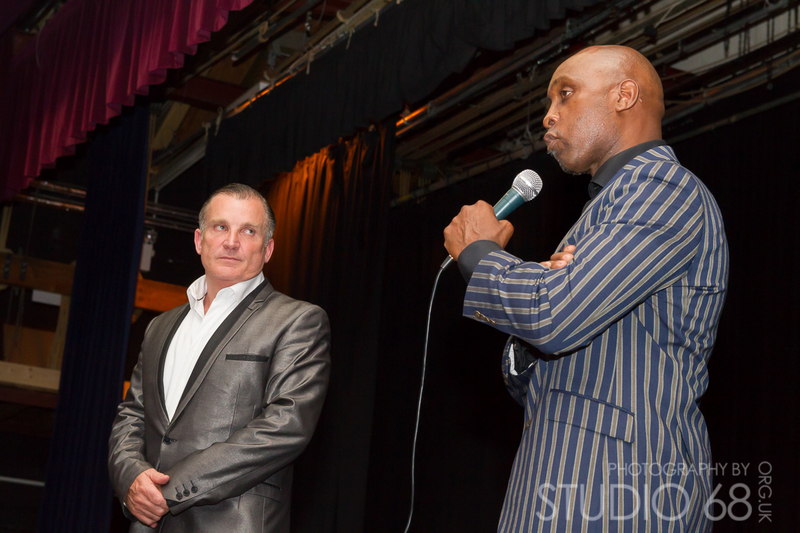 AN AUDIENCE WITH THE DARK DESTROYER, NIGEL BENN. If you ever had the pleasure of seeing Nigel Benn in action inside the ring then you’ll know it was a hair-raising experience. 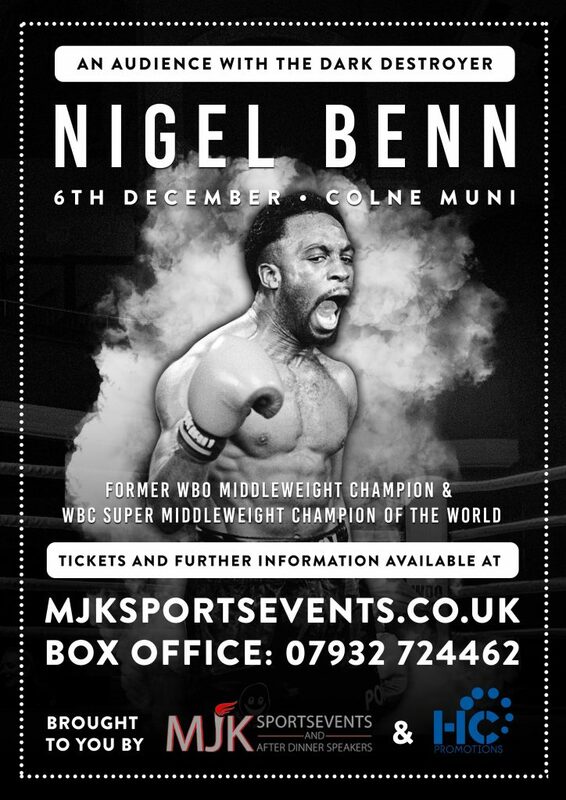 On Dec the 6th at the Muni in Colne ‘The Dark Destroyer’ will raise a few more pulses when he arrives for a unique Audience with event brought to you by MJK Sports Events and HC Promotions. 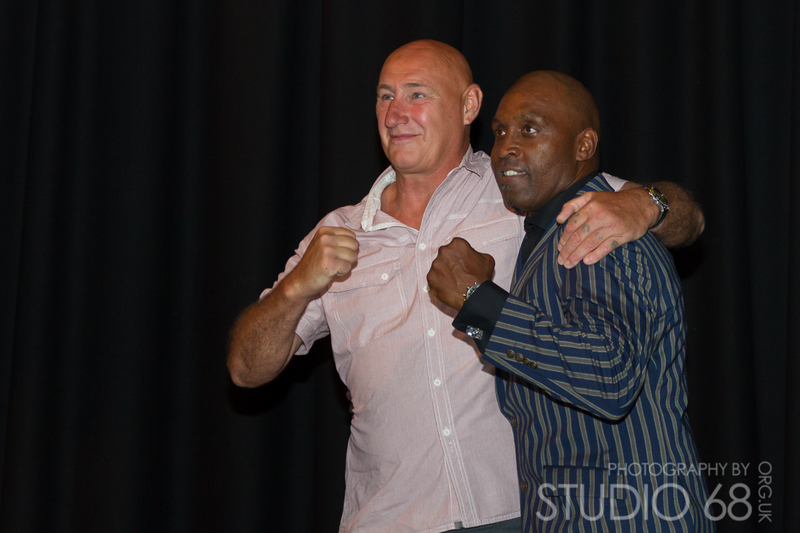 We’ve had some real Boxing legends at our events over the years and Nigel is as big as any of them. Recent sell out shows with Joey Barton and Sir Ranulph Fiennes in Colne take some beating but in Nigel Benn we have a great speaker who has a brilliant story to tell, Nigel is very open and appreciative with his fans and during the 50 minute interview he tells us not just his sporting life story but his whole life story and he delivers it exactly as you would expect. An audience Q/A follows the in depth interview where you will have the chance to ask the man himself a question and we also have a wonderful opportunity to have a picture with the man himself and receive a signed boxing glove just in time for Christmas. Perfect gifts for boxing fans. Back in the late 1980s and early 1990s he was a national hero, drawing audiences of almost 16 million for his two epic battles with Chris Eubank. In many ways that was a golden era for British boxing and Benn, with his all-out aggressive style, was at the very forefront of it. After serving four years in the army, Benn turned professional in January 1987 and fought an incredible 11 times in little over ten months, scoring a knockout each time. With barely two-and-a-half years pro experience under his belt, Benn had become a major star on ITV and his 1989 tussle with Michael Watson was one of the most eagerly anticipated events in British boxing history. Things didn’t go his way that Spring evening in Finsbury Park, but he didn’t let it get to him and quickly embarked on an American adventure that saw him knockout Doug DeWitt and Iran Barkley in world title fights. He returned to Blighty in late 1990 and soon found himself embroiled in a bitter dispute with Eubank, a man who seemed intent on using every word in the dictionary to wind Benn up. The rest, as they say, is history BUT we will hear all about it on the night of the event. Nigel never shrank from a challenge in the ring and as always he will not pull any verbal punches on Dec 6th. And as always we can not wait. Includes a picture with Nigel and a signed boxing glove. Amazing Christmas presents for boxing fans. 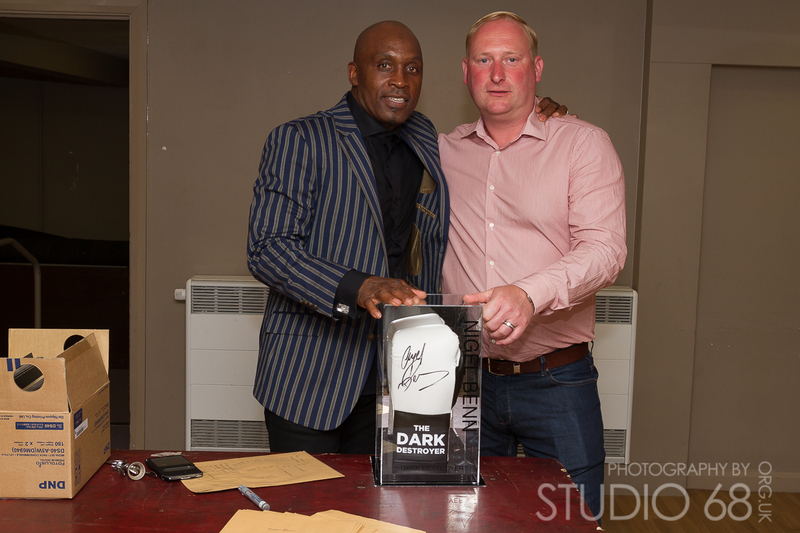 Includes a picture with Nigel Benn printed on the night. 19.30 NIGEL BEEN PART 1.